Electric motorcycle maker Brammo knows how to attraction attention: Get naked. 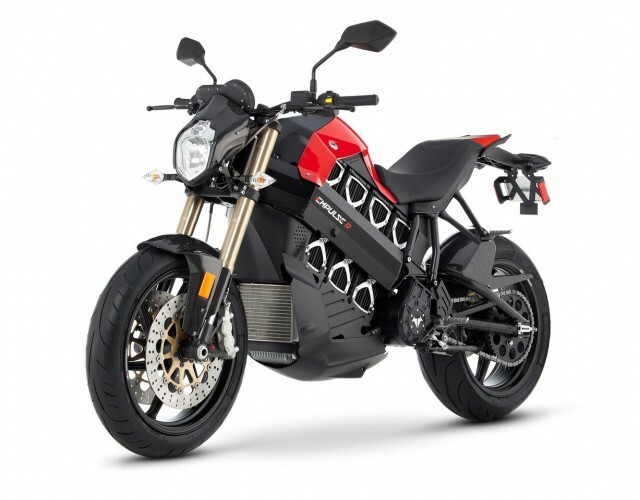 Or, more specifically, strip down one of your hottest electric motorcycle to show off what it's made of. The company built a cutaway version of its Brammo Empulse R for the Consumer Electronics Show held in Las Vegas last January. Now guided by Brian Wismann, Brammo's director of product development, you can have a professional tour of the guts of an electric motorcycle. 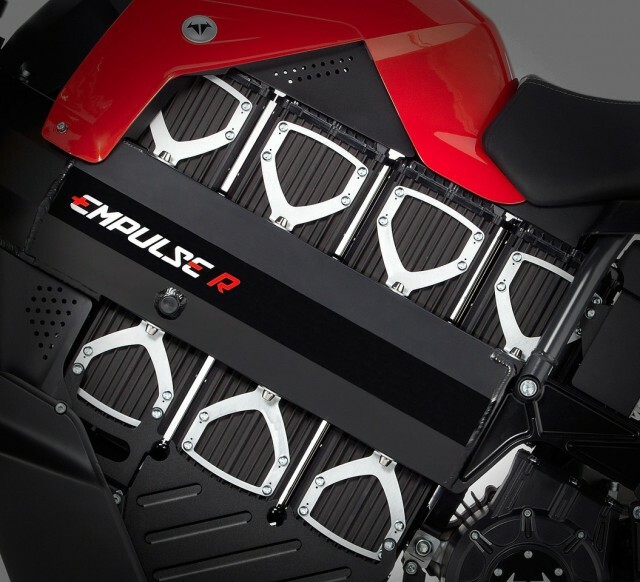 While he doesn't give away any company secrets, calling Brammo's software programming the "special sauce" of the bike, you get to see how a number of small batteries stacked in series adds up to the large battery pack that gives the Empulse its signature look. To recharge the battery in a Brammo Empulse R, riders can use the J-1772 charging cable at a public charging station or you can install one at home. A 110-Volt charging cord comes with the bike; it will fit into a backpack if riders want to charge at a conventional outlet at home or on the road. The 3-kilowatt onboard charger is the largest among production motorcycles, comparable to the onboard charger fitted to some plug-in electric cars. Although Wismann describes the 3-kW charger as comparable to that on a Nissan Leaf, all but a small number of Leafs have actually used a 6.6-kW charger since the 2013 model year. The motor is impressively small for the torque and power it produces. An Empulse R produces 66 ft-lbs of torque, more than a gasoline Kawasaki Ninja 650 (47 ft-lbs) and almost as much as a Ducati Streetfighter 848 (69 ft-lbs). The power is delivered via a six-speed transmission that Wismann says is integrated into the motor, giving great off-the-line power as well as a high top speed. It is good to note that the high-current system is located close to the ground, away from the rider, for riders who may be concerned about getting a nasty shock. It would have been interesting to get some more closeup views of the cutaway bike, but the video also provides eye candy, in the form of a pair of riders carving up a road as it progresses. Working on an electric motorcycle appears to be a rather clean affair: No more getting your hands dirty wrenching on bikes. But future motorcycle mechanics beware: From the looks of this video, the next generation of of the trade may need a degree in electrical engineering.